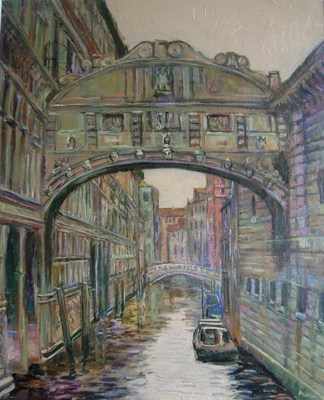 MAGNIFICENT ORIGINAL HIGH PRESTIGE EXHIBITION STANDARD OIL PAINTING "The Ponte dei Sospiri- The Bridge of Sighs." BY THE FABULOUS ARTIST DAVID ALDUS. 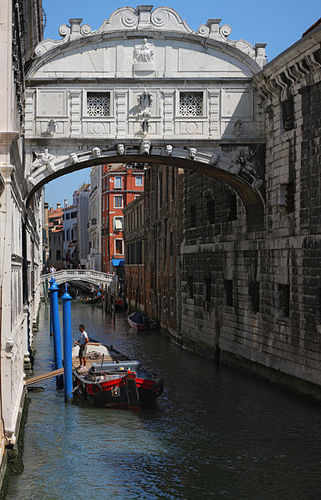 This lovely painting showing the famous bridge of Sighs in Venice......The bridge is so-named as it leads to a grim Venetian prison within the Doges Palace and so echoes with the sighs of hundreds of prisoners that took this one way journey!